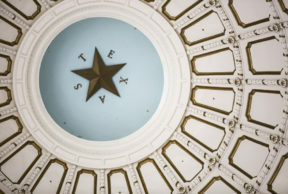 Vice President for policy at The Texas Public Policy Foundation, Chuck DeVore, joins the Standard to discuss public opinion on prison reform in Texas. New poll finds that the majority of Texans favor criminal justice reform. “If you’re going to get out, how can the state equip you to not recidivate, to not commit another crime, and go back into prison with more victims behind you? And so what’s been happening in Texas. It’s just very common-sense criminal justice reform that’s worked. It’s reduced crime, it’s made people more safe, and saved money too,” Devore says.